Here's your chance to see all the amazing WOWs Royal Caribbean added to the Grandeur of the Seas as we complete our WOW Button Tour. We were fortunate to be invited to the Revitalization Debut of the Grandeur of the Seas in November. 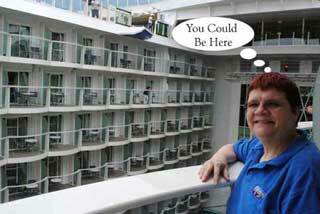 Join us for the last two stops of the New Grandeur of the Seas WOW Button Round-Up. Loyalty has its rewards!! 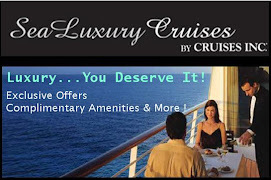 Hopefully you are aware that cruise lines, just like airlines, have loyalty programs that provide perks based on the number of times or nights you have sailed with them. 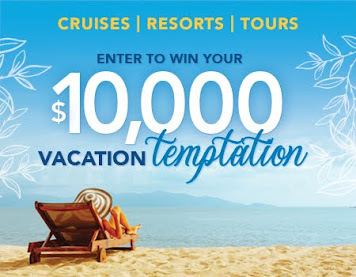 In some cases, the type of cabin or cruise may get you extra points towards your next level. Royal Caribbean's program is called Crown and Anchor Society. You can learn more about the program in our previous article: Updated Crown & Anchor Society Program. This exclusive lounge space, on Deck 11 of the Grandeur, is for Diamond Plus and Pinnacle Club members. Guests in suites (except for junior suites) are also given access to this lounge area. Continental Breakfast is served in the Concierge Club daily from 7:00 AM until 10:00 AM. Complimentary beverages are served in the Concierge Club from 5:00 PM until 8:30 PM as well. Israel Sanchez, the Concierge on the Grandeur, is there to assist guests with any requests throughout the voyage. 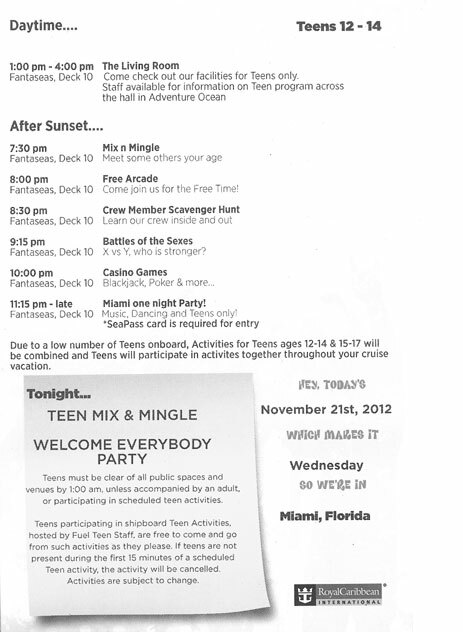 Here's your chance to see where teens have fun on Grandeur of the Seas as we continue our WOW Button Tour. 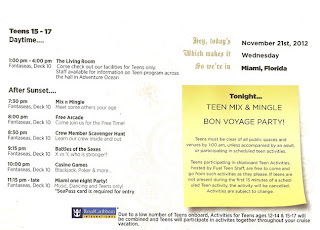 Normally the teens area is off limits to adults, but during our private tour of the revitalized Grandeur, Royal Caribbean's Adventure Ocean staff hosted an open house and we're taking you behind the scenes to explore the facilities. 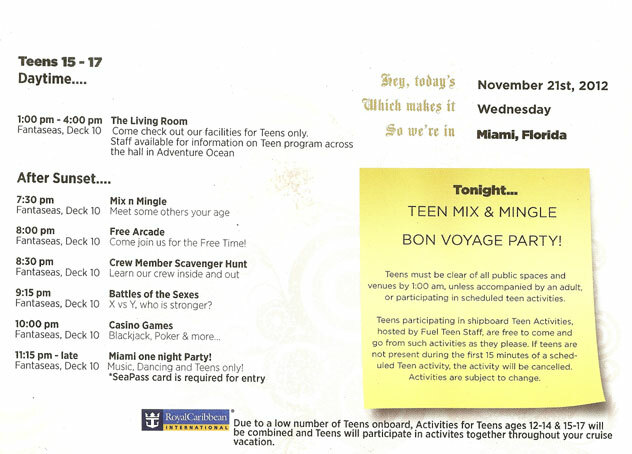 Royal Caribbean's teen program isn't some structured set of classes or rules – these "almost adults" deserve a vacation all their own. So the program gives them the freedom they deserve to join pre-planned events throughout the day or simply hang out in teen-only spaces – with Adventure Ocean staff that keep the good times coming. During the Grandeur revitalization event, there weren't many teens onboard, but even so, there was a special program designed for those that were. 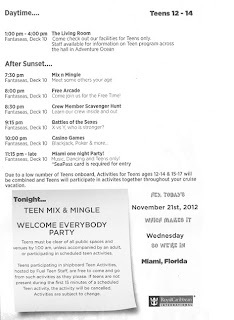 The sample activities shown here are representative of the kinds of offerings for teens during Royal Caribbean cruises. See more images of Adventure Ocean on our Facebook Page. Also see related articles: Oh To Be Young Again and Grandeur Tour Deck 10. Here's your chance to see where kids have fun on Grandeur of the Seas as we continue our WOW Button Tour. Normally the kids area is off limits to adults, but during our private tour of the revitalized Grandeur, Royal Caribbean's Adventure Ocean staff hosted an open house and we're taking you behind the scenes to explore the facilities. Kids will have a blast at the complimentary, award-winning Adventure Ocean® Youth Program. 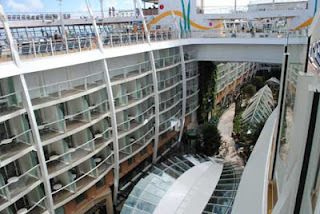 onboard Royal Caribbean's entire fleet. Every member of the youth team holds a four-year degree in education, recreation or a related field and has extensive experience working with children. Kids and teens are divided into age groups so that they can enjoy specialized programs made to expand their imaginations in interactive, multi-room spaces designed just for them. 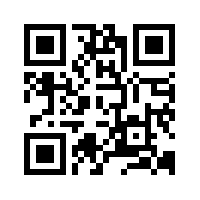 It’s an awesomely fun, totally edu-taining adventure. Borrow and exchange from an onboard treasure chest of Fisher-Price® developmental toys, specifically created for infants and toddlers ages 6-36 months. Just for Royal Tots! 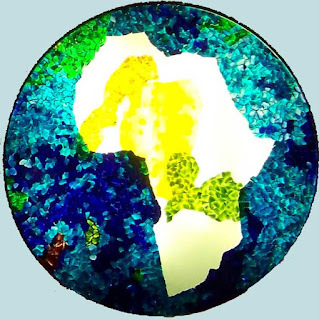 Throughout these 45-minute workshops, parents and their children enjoy story time while creating works of art using Crayola Beginnings products. Onboard, kids aren't just kids. They're scientists exploring the insect world, eye-patched pirates or the next great athlete to take the gold at the Wacky Olympics. With interactive programs and activities designed just for their age group, Adventure Ocean gives kids the chance to discover a whole new side of themselves. Join your child in the fun of Royal Babies® or Royal Tots® interactive playgroup sessions developed by early childhood experts at Fisher-Price®. Each 45-minute session, held on one of our onboard lounges, offers activities that make playtime learning time as well. We'll cover the Teen programs in another blog post, so be sure to read that as well. Martin Luther King, Jr. gave is famous “I have a dream” speech on August 28, 1963, so the year 2013 marks the 50th Anniversary of the speech. 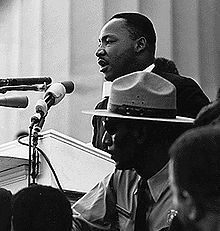 More info on the “I have a dream speach” can be found on Wikipedia. Fifty years later his dreams are for the most part still unfulfilled. It is interesting to note that one of the award nominated movies of the year is about Abraham Lincoln, another famous American who had a famous speech, the Emancipation Proclamation, which freed millions of slaves in 1863. Martin Luther King started his speech making reference to that proclamation. Today let us pause to remember this great man and the dreams that he called out from that podium in Washington, D.C. Perhaps in our lifetime, or in the lifetime of our children, his dreams came come closer to reality than they are today on this 50th anniversary of his speech. Each day I wake up and am thankful that my job involves making dreams come true. 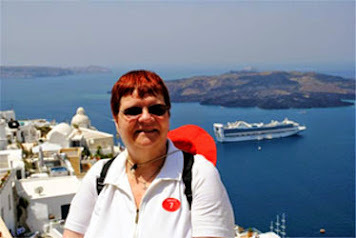 A few years back, I wrote a blog post about Vacationing, from a Cruise Specialist’s Perspective. Perhaps today is a good day to revisit that article and make your own dreams for yourself, your family, and friends. Click on the link and read the article while imagining you are there. At the Royal Babies and TotsSM Nursery, available only onboard Royal Caribbean, their trained staff cares for little cruisers ages 6 to 36 months in a safe, interactive space. Babies and tots will be delighted by Fisher Price® and Crayola® programs made just for them, while parents can enjoy all the ship has to offer. 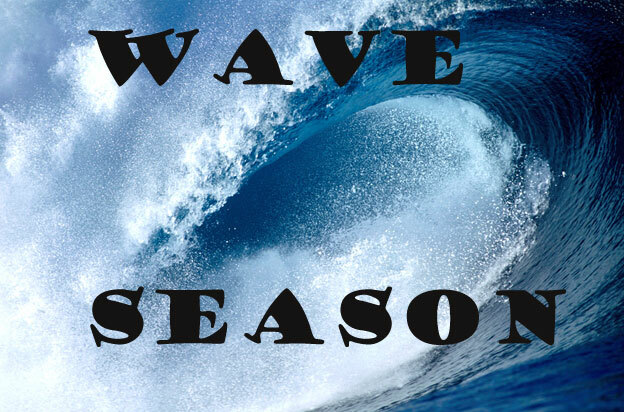 Daytime and evening drop-off is offered; hourly fee of $8 applies. Silver Explorer departed Ushuaia, Argentina, in early January, for an 18-night cruise to Antarctica.On January 12th, somewhere between Tierra del Fuego and the Antarctica, a wave came crashing into the ship's bridge injuring four crew members. They were treated in the medical center onboard the vessel and according to Silversea Cruises all 133 guests and 113 crew are safe. According to reports, the damage was severe enough to interrupt the current voyage and cancel the upcoming Antarctic sailing scheduled for January 21st. If reports are accurate, the wave would have struck the vessel about 30 feet above sea level. 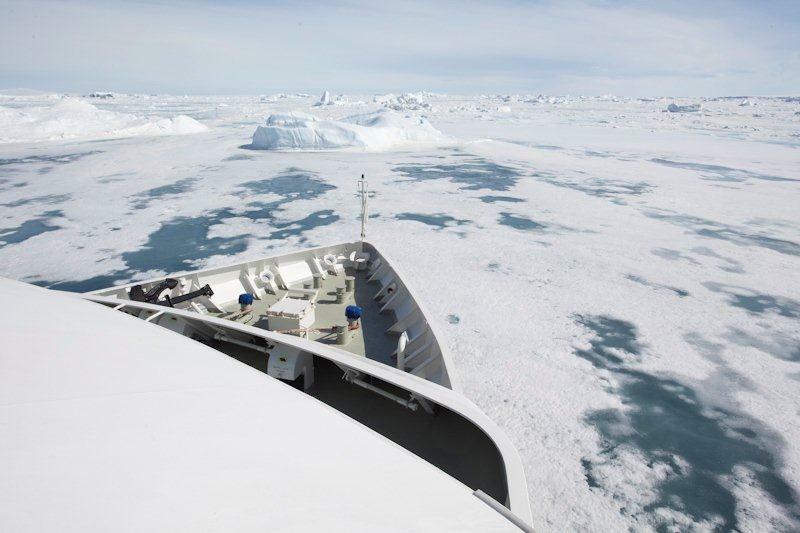 anticipated that Silver Explorer would resume its normal Antarctic schedule with a 10-night voyage departing Ushuaia on January 31st. Impacted passengers have been notified by the line or their travel agents. It is believed that the line is offering discounted future sailings or refunds to the affected passengers. While it is unfortunate that the current voyage was cut short, and an upcoming voyage cancelled, dashing hopes of passengers visiting the arctic region, we are happy to report there doesn't appear to be any serious injuries as a result of the incident. 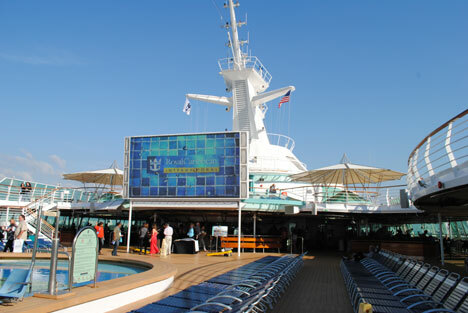 Most of the major cruise lines have been adding big screen movie screens to their pool deck area for some time. With the Grandeur's revitalization, it joins sister ships that have already had the popular feature added. Whether it is during the day at sea or at night going between destinations, you'll be able to enjoy special features on the big screen. There's no need to miss a big game even when you are at sea. 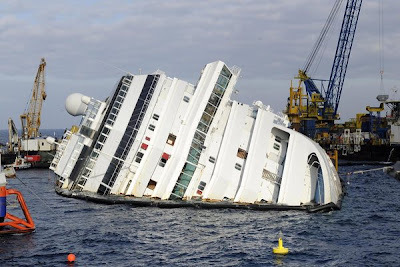 The Costa Concordia on Italy's Giglio island on Saturday. Off the coast of Giglio Island in Italy lies the submerged hull of Costa Concordia. 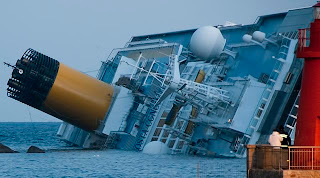 It is a stark reminder of the events of that fateful night in mid January when Captain Francesco Schettino did a sail-by as he had done many times before. This time, there would be human error and other factors contributing to the disaster. 32 lives were lost and countless lives altered in a matter of a few hours. The ship, crew, and others are now the subject of investigation and court proceedings as well as a $400M salvage operation that is behind schedule. It appears that the wreckage won't be removed completely until this Summer. As the anniversary approaches, the media has been interviewing survivors getting their thoughts about the events of that January night. For some, it brings tears once again as they remember lost family and friends or perhaps the ordeal that they themselves went through. Meanwhile, as Giglio prepared for a religious service Sunday to mark the anniversary, including the release of 32 airborne lanterns to mourn the dead, Costa Crociere has told survivors among the 4,200 passengers and crew to avoid the island out of respect for those who died. The company says that there would not be enough space on the island to accommodate all the survivors of the wreck. We're sure that the company meant well by making those remarks, but it hasn't sat well with the families who are trying to deal with the tragedy one year later. We hope that the families and friends are able to find some comfort on this one year anniversary. Please remember the survivors and those that died in your thoughts and prayers today. 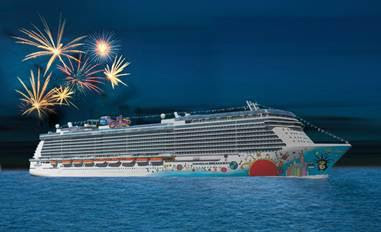 When Norwegian Breakaway debuts this May in New York City, it will feature an exciting fireworks show on every cruise during her summer inaugural season. The environmentally-friendly pyrotechnics display will dazzle guests on the second to last night at sea each week, after the ship departs Bermuda. Norwegian Cruise Line is known for their entertainment such as The Second City Comedy and Blue Man Group. They also are known for deck parties and on the new Breakaway, they'll be taking things to a new level. Building on the electrifying theme of the ship’s headlining Broadway show, ROCK OF AGES, the awe-inspiring fireworks will be the grand finale of a decadent 1980s-themed deck party and will be set to a specially-selected playlist of classic 1980s hits by artists like Madonna, Devo and Prince. Guests will party the night away under the stars in the open-air Spice H20 venue at the aft of the ship while enjoying the fully-produced show featuring a visual masterpiece that is set to a playlist of classic 80s hits including “Come on Feel the Noise,” by Quiet Riot; “Whip It,” by Devo; “Cherish,” by Madonna; “Final Countdown,” by Europe; and “Purple Rain,” by Prince. In a breathtaking finale, a mesmerizing color-filled fireworks show will light up the night sky, right above the ship. New Yorkers are very familiar with fireworks shows set to music, with the annual Fourth of July spectacular hosted by Macy's. We suspect this show will be as exciting as that annual event. The 4,000 passenger Norwegian Breakaway will begin weekly summer seven-day cruises to Bermuda on Sunday, May 12, 2013 after its arrival in her year-round homeport of New York City on May 7th. 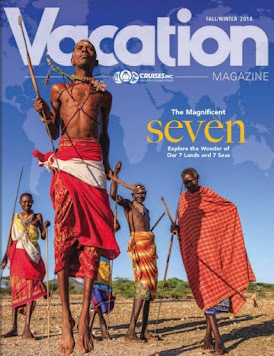 From October 2013 through April 2014, New York’s ship will offer voyages from the heart of Manhattan to the Bahamas & Florida and the Southern Caribbean. While Norwegian Cruise Line often is the first to introduce new ideas at sea, they unfortunately can't claim the fireworks show. Disney Cruise Lines offers a similar experience onboard their ships during their "Pirates in the Caribbean" show. Pirates chase each other around the deck as music blares and culminates as the nighttime sky is lit by colorful exploding bursts of light. We'll have to wait and see if Norwegian Breakaway's show comes in first or second place in guest rankings. Be sure to plan your cruise during this inaugural season so that you'll be able to see what promises to be an exciting show. For those of you in the Chicagoland area, we are hosting a special "Catch a Wave" party at The Chicago Loop Bar and Grill in Streamwood on Wednesday, January 23rd. Salvage of the Costa Concordia continues one year after the deadly accident where 30 people lost their lives during what should have been a routine sailing past Giglio, Italy. As the ship lays on it's side, 60 Minutes visited the ship for a close up look at the salvage activities. They used special drone cameras, barges, small vessels, and several other cameras to capture the onboard experience almost a year later. Watch this video to see some highlights of their visit. inside the cruise liner since it sank in January last year, killing 32 people. The clock onboard Costa Concordia is frozen in time reflecting the moment when the ship lost power. Earlier that day, passengers were anxiously awaiting the start of their holiday at sea as they boarded the ship. Little did they know that for some of their fellow passengers, these were some of their final moments here on earth. There are many tangible and intangible impacts of this accident. Obviously, there's the cost of the rescue and salvage operations, the medical, funeral, and insurance costs to families and cruise lines. The rescue and salvage costs are proving to be much larger than even predicted several months ago. The ecosystem off this Italian coastal community has suffered losses that can't easily be measured. Costa Cruises and parent company, Carnival Corporation were at the forefront of the industry losses, but the impact was far reaching and continues to have an impact as measures are taken across the industry to put additional safeguards in place. For the families directly impacted by the loss of loved ones or injuries, there is emotional costs in addition to the tangible expenses. It is hard to imagine the grief that they feel. Even this article will bring back memories for those that were traumatized by the event. Our heart reaches out to all that were impacted. The cruise industry has an excellent safety record, even counting this accident and that of the Titanic one hundred years earlier. As mentioned, CLIA, and other international over-seeing bodies, have conducted investigations and made recommendations for safety improvements as a result of the accident. We can perhaps take some solace that out of the darkness emerged some good as a result. The industry held its breath wondering what the reaction would be by the cruising public. It turns out that those that have sailed before, continue to sail, and many new passengers have experienced a cruise for the first time since that chilly day in January last year. There is a large percentage of the population (close to 80%) that still hasn't cruised, so the cruise lines continue to expand their inventories to accommodate the expected growth. There will undoubtedly be a resurgence in press coverage as we get closer to the actual anniversary. We will continue our coverage and attempt to find representative information to share with you. In the upcoming months, several cruise lines will be introducing new ships. MSC Preziosa will be the fourth and final Fantasia-class ship from Europe-based MSC Cruises. 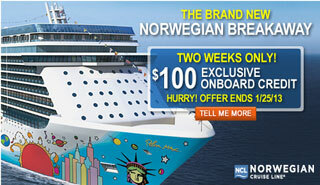 Norwegian Breakaway will launch in April 2013 as the first of two 4,000-passenger sister ships. Royal Princess will be about 20 percent larger than Princess' largest ships now afloat. All of these ships will introduce new dining and entertainment options for cruise passengers. 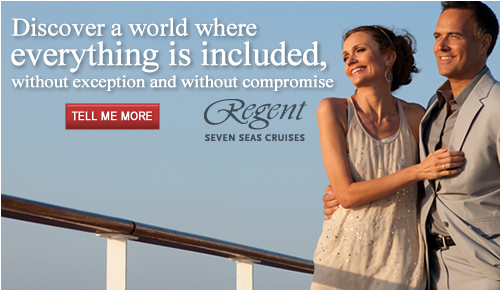 These new ships add capacity to these cruise lines and give you additional options. Besides new ships, existing ships are getting face-lifts with new features being added, primarily based on passenger feedback and acceptance of the features on recent ship builds on the same or other cruise lines.The Grandeur of the Seas revitalization is just one example of the changes being made to enhance passenger experiences. 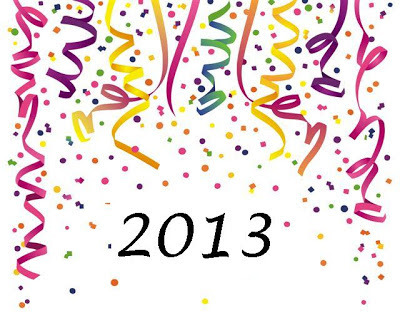 Is 2013 the year you plan to complete a trip from that list? Whether it's a far away exotic destination like Asia, Australia, and the South Pacific or something close-by like Bahamas and the Caribbean, you'll find a cruise ship sailing to your ports of call of choice. It's that time of year to make New Year resolutions. Some of you will decide to make changes in your lifestyle which will improve your health - such as healthy eating or exercising. 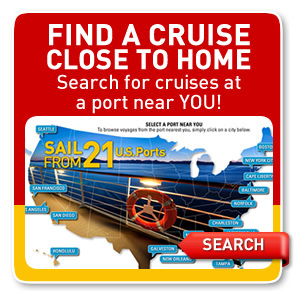 For those that haven't been on a cruise before, that doesn't mean you have to forgo your trip. There are full-service spas and fitness centers on most cruise ships and healthy menu choices available throughout the day. Cruise lines will be happy to accommodate any special dietary requirements - just be sure to tell your cruise specialist at the time of booking so that notes can be put on your reservation.